flat-rate deals for those over-exuberant Internet children. LINUX both profiting from "Jesse Berst mentioned that once. about the GDP of Papua New Guinea. that our government would ever misuse that tech? - Blair says he's sick of "libertarian nonsense masquerading as freedom." not have to alter it again. - and what if you *like* the taste of frozen pig fat, eh? - "do what you like with this flyer" - except IGNORE IT! - the first bit, we mean, not "cracking Muffett's toys"
cycle, MOV Dn, [An] also takes 1 cycle! (also [An+imm8]). the NAKED QUAKE NEWS site you'd hoped for (still, "Carrie"
buttered scones. The subject of blow-jobs never came up, however. reporter's back - that guy who did "Macintyre Undercover"
to: a) directly address the old "monster not scary enough"
BACON leapt to the defence of Denise Richards' "Lara Croft"
along the lines of "Lara Croft = big star on Playstation. 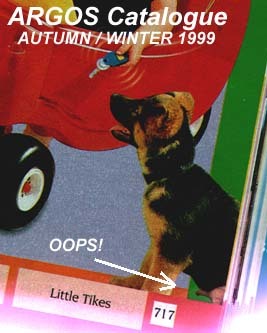 dog-pulling-car sequence does now seem to have been edited out. Registered at the Post Office as "finest *and* most literate"